For the past decade, Internet of Things (IoT) development has been limited by costs, reliability, range and network incompatibility. Today, these barriers to entry have been removed by wireless sensor networks (WSN) that have become a key differentiator for an increasing number of organizations. In fact, enterprises without an IoT strategy are at a significant competitive disadvantage. WSN increases operational efficiency, scalability, asset visibility and creates vast amounts of data that provides new analytic insights on complex processes. This is a diverse landscape where developers are using mesh networking, energy harvesting, beacons, location services, Low Power Wide Area (LPWA) networks, and multi-protocol chipsets to push the boundaries of WSN. By 2023, there will be 3.4 billion annual WSN chipset shipments worldwide up from 1 billion in 2018. Short range technologies such as 802.15.4, Bluetooth, WiFi and proprietary make up over 90% today but LPWA networks including Sigfox, LoRa® and NB-IoT are increasing faster. Location services are another growing trend. Within the next five years, 3 in 5 of WSN chipsets will be used for location related services including proximity sensing as well as asset tracking and locating. WSN chipset and module providers, stack licensors, device manufacturers, software developers and industry experts. "WSN Markets" in the subject. 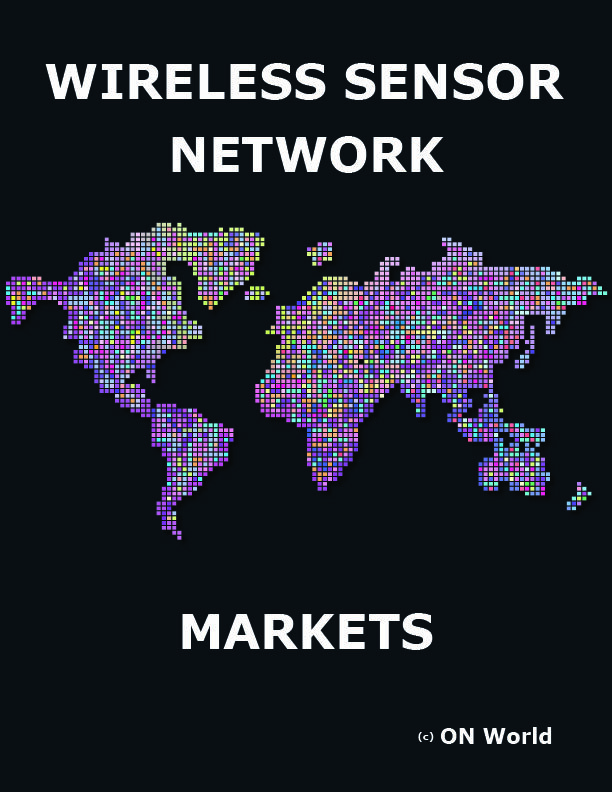 Every quarter, ON World conducts hundreds of interviews with executives and product managers with leading manufacturers, software developers, component suppliers, and platform providers involved with low power wireless sensing and control markets. ON World provides business intelligence on Internet of Things markets. Since 2003, our market research has been used by Fortune 1000 companies, investors and IoT developers worldwide.